National Aviation Day is a federal observance but it is not a public holiday in the United States. In 1939 President Franklin Roosevelt proclaimed August 19 to be National Aviation Day. The day coincides with the birthday of Orville Wright, who piloted the Wright Flyer. He and his brother Wilbur are given credit for building the world’s first successful airplane with aircraft controls that enabled them to steer the plane. Orville Wright made the first flight for 12 seconds and 120 feet around the site of Wright Brothers National Memorial on December 17, 1903. They were not the first to build and fly experimental aircraft but they are the first to invent aircraft controls that made fixed wing flight possible. 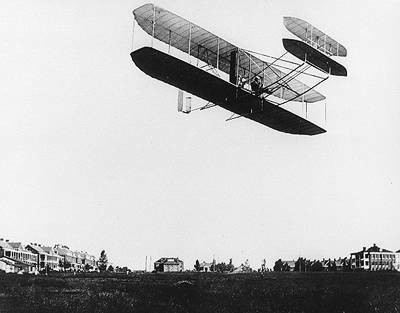 The Wright brothers' status as inventors of the airplane has been an issue of debate, particularly as there were competing claims regarding other early aviators. Another national observation in the United States is Wright Brothers Day on December 17 each year. Each year the president may issue a proclamation to: designate August 19 as National Aviation Day; call on government officials to display the flag of the United States on all government buildings on the day; and invite people living in the United States to observe the day with appropriate exercises to further stimulate interest in aviation in the United States. Images of early flight pioneers (including the Wright brothers), airplanes and other flight vehicles, aviation industry workers (such as pilots) and any other images linked with the aviation industry have been seen on material used to promote National Aviation Day.